I know all teachers can relate. Where this one came from I have NO clue. ZIP. ZERO. ZILCH. NADA. It started with a hippo and then sent my OCD brain to find this. BTW- Most of my kiddos have never played this. 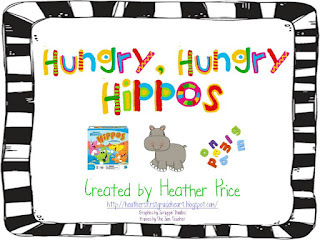 *Buy the game or just print the hippo cards and use magnetic letters. *Write each letter of the alphabet on a marble. You will need a few extra marbles. I already have some but you can buy them at a Dollar Store, Wal-Mart, or a craft store. *Play the game. After all of the letters have been captured, take the letters (marbles) and place them on the letter cards. 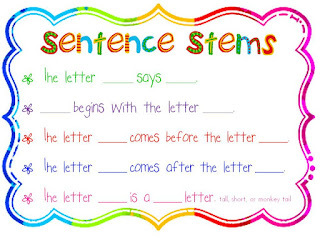 *Use the sentence stems to talk about the letters and letter sounds. This is a great opportunity for your ELL kiddos to develop language and for all of your kiddos to start learning how to speak in complete sentences. I will be playing this with a small group because I don't trust a Firstie to keep marbles out of their mouth, ears, or nose no matter how many times we talk about being safe! I would love for you to grab some Hippo fun! I love it! I am always looking for different ways to teach things. This is most certainly one I'll be using. Have a wonderful day. Thanks. Thank you! 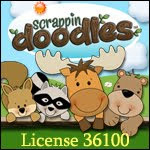 This will be great for my kinder kids!! Too Cute!! I love Hungry Hungry Hippos! Cant wait to see more great stuff this summer! Very fun! My boys loved the game when they were young--I just wish there was a way to make it a quiet game! What a creative idea and the kids will love it! Thank you!! I remember playing that as a kid! Great idea! I am loving your toilet brush hippo! How cute is that? thanks for the idea! So cute and creative. The kids will love this game. This is a great idea! 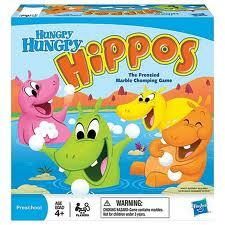 We had Hungry Hungry Hippoes in the class where I student taught, and the kids LOVED playing it during free time. It would be so much fun to get to play it during reading groups! P.S. I bet you could make this into a math game as well... They could either put their numbers in order, add them up, see if they can make number sentences, multiply them, etc! 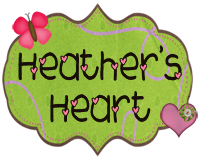 Super fun Heather! I love making learning toys with stuff from the dollar store! I am going to try this summer to get more onto my blog and share! Thanks for believing in me! You were my first follower! 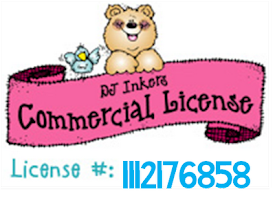 Once I get my blog looking better I will look for more followers. Keep up the great work! I must get back to report cards! I still have 2 weeks left to work! I think the kids will love this! Oh what a great idea! I love this!! I agree many of my students have not played this game. Zero the Hero brought us this game to use early in the year to help us with counting. I like the ABC idea. Thanks. I think this is a fabulous idea!! I LOVE your creativity. I would love to do this with money amounts written on the marbles and then they could add up the money they've captured with their hippo. I think I just had a brain pop.......sorry. I get excited over things like this. :-) Thanks for always sharing!! Sooooo cute Heather! The little toilet brush animals are adorable and so perfect for Kinder! My kids loved Hungry Hippos when they were little! I'm baaaack!! I just wanted you to know that you inspired me to pull out an old game and spice it up. I'd LOVE for you to check it out. Thanks again, for your <3. Your game is so cute! I loved the Hungry, Hungry Hippos game as a kid! 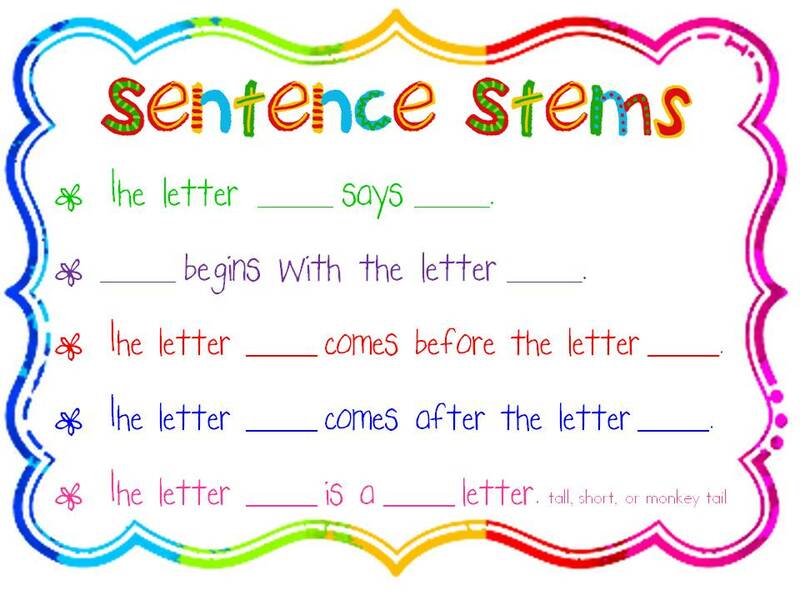 I like this way of getting EL kids to talk too. Thanks for sharing! Super CUTE! This will be great for the beginning of the year and my new jungle theme! Thanks for sharing!! Cutest game ever!!! You are SO creative! I'm so sad we only have a week left and I don't have time to do this great game in my class. Hi Heather! 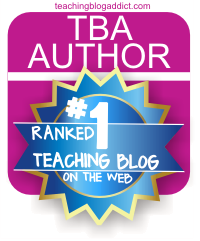 Thanks so much for following my blog and your kind words! Loving your ideas! Love this idea! I may have to tweek it a bit for my 2nd graders though! You are in the spotlight on my blog. Stop by to check it out! You are fabulous! I absolutely love this---It is super cute! I think its perfect for all elementary grade levels. I'm going to be working in 5th grade and kindergarten this up coming school year. I can't wait for the kids to play. For the older kiddos, I think I'm going to have them create words with the letters and I loved the math game idea as well (great idea Angel). Awesome! This is my all-time favorite game! Thanks for a new twist on it!